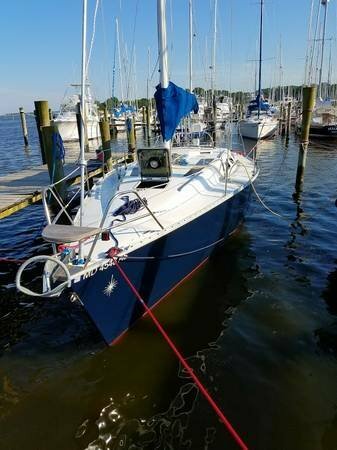 Boat is located in Traceys Landing,MD.Please contact the owner @ 703-626-8629...You will not find a cruising sailboat in this price range in better condition. 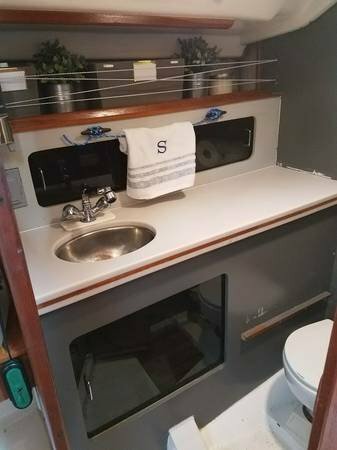 The boat includes two double staterooms and two berths in the main salon, one marine head with holding tank, kitchen with large capacity 12v refrigerator, gas powered stove top, hot water heater, air conditioner with heater, and water pump. 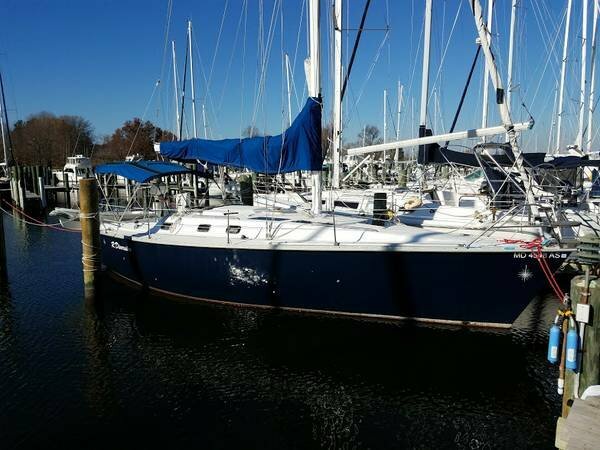 The electronics include AIS, large screen Garmin navigation system, flat screen TV, VHF, and brand new Raymarine auto-pilot still under two year warranty. Installed davits hold a Walker Bay dingy. Sails include main sail with two reef points, jib, genoa, and storm sail. The boat was recently refurbished to include new skylight windows, new v-berth hatch glass, new upholstery inside and out, new LED lighting, Caframo fans in each cabin, repainted head, repainted bottom (brick red), Interlux hull (flag blue), Interlux topside (white), and new v-berth headliner. The engine is on new mounts and the shaft has been replaced and laser aligned to the engine, new PIY installed. The Yamaha 3GM model has low hours and runs great. The boat is currently winterized and not ready for show. 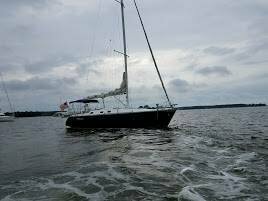 I am making appointments to show this boat in March.